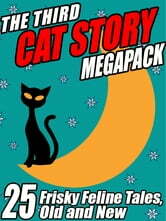 Our third offering of kitty delights and delectables features 25 cat stories, 2 nonfiction compilations of cat anecdotes, and 9 poems--but the emphasis overall is decidedly more modern than in our previous cat Megapacks. Heading the list this time are: Mary A. Turzillo, who contributes 8 tales and poems; A. R. Morlan, author of 6 stories; Michael Hemmingson, who's penned 3 moving poems; Damien Broderick, writer of 2 otherworldly cat tales; Kathryn Ptacek, contributor of 2 fantasies; Douglas Menville, who provides a couple of kitty poems; and pieces by Darrell Schweitzer, David C. Smith, and Marilyn "Mattie" Brahen--not to mention Lewis Carroll, Mark Twain, Bram Stoker, and Mary E. Wilkins Freeman. 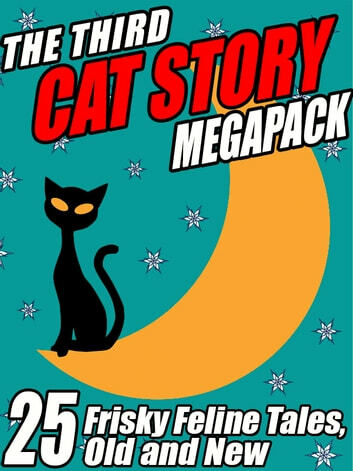 So, settle back in your chair, your couch, and your bed, cat-lovers everywhere, and enjoy this new anthology of frisky feline tales! And don't forget to search this ebook store for "Wildside Megapack" to see more entries in the series, covering mysteries, westerns, science fiction, adventure -- and much, much more!